Throughout the school year special programs are held for Elementary School boys. As an integral part of the curriculum, the programs bring to life and give relevance to what is taught in the classroom. Under the able direction of Rabbi Yakov Garfinkel, the students excited anticipation precede every event. YOMIM TOVIM/SHABBOSIM/CHASSDISHE YOMIM TOVIM: Whether it be one of the holidays on the Jewish calendar, a Shabbos melave malka or events relating to one of the Lubavitcher Rebbeim, they are all celebrated with extra learning, a special festive meal, guest speaker, or a creative project/competition. ONGOING PROGRAMS: Two ongoing programs are held throughout the school year. The first program, “Daven Like a Chossid,” motivates students to take their davening seriously, rewarding those who do so with a hot cup of cocoa in the morning. The second program, “HaKol Kol Yakov” encourages students to call their relatives, especially their grandparents, every week. TZIVOS HASHEM: Every student is required to become a member in the worldwide Tzivos Hashem organization. Through a program of missions and rewards, the students learn how to conduct themselves as Chabad chassidim. https://lecfl.com/wp-content/uploads/2018/09/2A944917-81CA-4F0F-A045-21AC1BA44CDA.jpeg 1024 1365 Boys Programs https://lecfl.com/wp-content/uploads/2014/11/Logo-for-LECFL-site.jpg Boys Programs2018-09-27 03:21:462018-09-27 03:23:31We walked 45 minutes each way, but boy were they happy to see us!! Motti shook with lots of people!! Such a kiddish Hashem!! https://lecfl.com/wp-content/uploads/2018/09/2F460FD7-EED3-4CEC-A89C-C4D82D5E3AAB.jpeg 1024 1365 Boys Programs https://lecfl.com/wp-content/uploads/2014/11/Logo-for-LECFL-site.jpg Boys Programs2018-09-27 03:21:452018-09-27 03:21:45Motti shook with lots of people!! Such a kiddish Hashem!! Steinberg Family helping Jews of NMB with the mitzva of Lulav and Esrog. https://lecfl.com/wp-content/uploads/2018/09/4873C145-85FC-4C30-A8B6-73140EF31605.jpeg 1024 1365 Boys Programs https://lecfl.com/wp-content/uploads/2014/11/Logo-for-LECFL-site.jpg Boys Programs2018-09-26 22:13:152018-09-27 03:10:43Steinberg Family helping Jews of NMB with the mitzva of Lulav and Esrog. https://lecfl.com/wp-content/uploads/2018/09/2DC3F861-9C53-4D28-BD6A-073D0EA18AEF.jpeg 1024 1365 Boys Programs https://lecfl.com/wp-content/uploads/2014/11/Logo-for-LECFL-site.jpg Boys Programs2018-09-26 21:57:012018-09-27 03:20:00Knight kids doing mivtzoyim! The Roash Family went on Mivtzoyim During Sukkos, First Name Class Liel 4 Magen 4 Shirel 2 c Helped 101 Yidden Bench Lulav, and 101 Yidden make a Bracha לישב בסוכה. The Levy Family went on Mivtzoyim During Sukkos, First Name Class Shalom Levy Helped 20 Yidden Bench Lulav, and 10 Yidden make a Bracha לישב בסוכה. The Friedman Family went on Mivtzoyim During Sukkos, First Name Class Mendy Rabbi Sherman Helped 50 Yidden Bench Lulav, and 32 Yidden make a Bracha לישב בסוכה. The Roash Family went on Mivtzoyim During Sukkos, First Name Class Magen Liel Shirel Helped 101 Yidden Bench Lulav, and 101 Yidden make a Bracha לישב בסוכה. The tauber Family went on Mivtzoyim During Sukkos, First Name Class Levi 4a Helped 1 Yidden Bench Lulav, and Yidden make a Bracha לישב בסוכה. The tauber Family went on Mivtzoyim During Sukkos, First Name Class levi 4a Helped 1 Yidden Bench Lulav, and 1 Yidden make a Bracha לישב בסוכה. The Wertheimer Family went on Mivtzoyim During Sukkos, First Name Class Shimon 4 Helped 3 Yidden Bench Lulav, and 3 Yidden make a Bracha לישב בסוכה. 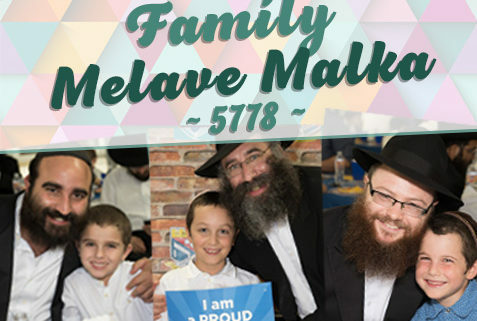 The Waks Family went on Mivtzoyim During Sukkos, First Name Class Menucha 4b Shaina 2a Helped 500 Yidden Bench Lulav, and Yidden make a Bracha לישב בסוכה. The Estrin Family went on Mivtzoyim During Sukkos, First Name Class Shayna 6c Naomi 4c Helped 4 Yidden Bench Lulav, and 0 Yidden make a Bracha לישב בסוכה. The Halberstam Family went on Mivtzoyim During Sukkos, First Name Class Shmuli 6 Ari 4 Helped 2 Yidden Bench Lulav, and Yidden make a Bracha לישב בסוכה. The Tennenhaus Family went on Mivtzoyim During Sukkos, First Name Class Menny 1a Chaya 3b Batsheva 5b Helped 150 Yidden Bench Lulav, and Yidden make a Bracha לישב בסוכה. The Sacho Family went on Mivtzoyim During Sukkos, First Name Class Yossi 4 menachem 6 Shua 1 Helped 10 Yidden Bench Lulav, and Yidden make a Bracha לישב בסוכה. The Schapiro Family went on Mivtzoyim During Sukkos, First Name Class Lippman 1c Rivkah 2b Mendy 4a Helped 3 Yidden Bench Lulav, and 4 Yidden make a Bracha לישב בסוכה. The Schapiro Family went on Mivtzoyim During Sukkos, First Name Class Ippman 1c Rivkah 2c Mendy 4a Helped 1 Yidden Bench Lulav, and Yidden make a Bracha לישב בסוכה. The rudd Family went on Mivtzoyim During Sukkos, First Name Class motti Helped 18 Yidden Bench Lulav, and 18 Yidden make a Bracha לישב בסוכה. The Brashevitzky Family went on Mivtzoyim During Sukkos, First Name Class Zalmie 6b Helped 10 Yidden Bench Lulav, and Yidden make a Bracha לישב בסוכה. i shook in my buildings sukkah and helped eat on fisher island. The mizrachi Family went on Mivtzoyim During Sukkos, First Name Class shlomy 6b Helped 4 Yidden Bench Lulav, and 150 Yidden make a Bracha לישב בסוכה. https://lecfl.com/wp-content/uploads/2014/11/Logo-for-LECFL-site.jpg 0 0 Boys Programs https://lecfl.com/wp-content/uploads/2014/11/Logo-for-LECFL-site.jpg Boys Programs2017-10-23 09:24:572017-10-23 09:24:57i shook in my buildings sukkah and helped eat on fisher island. The Spalter Family went on Mivtzoyim During Sukkos, First Name Class Yale 3a Helped 40 Yidden Bench Lulav, and Yidden make a Bracha לישב בסוכה. The kaplan Family went on Mivtzoyim During Sukkos, First Name Class menachem mendel 2 Helped 85 Yidden Bench Lulav, and 5 Yidden make a Bracha לישב בסוכה. The Wertheimer Family went on Mivtzoyim During Sukkos, First Name Class Shimon 4C Helped 3 Yidden Bench Lulav, and 3 Yidden make a Bracha לישב בסוכה. The Cohen Family went on Mivtzoyim During Sukkos, First Name Class Chaim 5B Helped 39 Yidden Bench Lulav, and Yidden make a Bracha לישב בסוכה. The amar Family went on Mivtzoyim During Sukkos, First Name Class shlomo 5a Helped 126 Yidden Bench Lulav, and Yidden make a Bracha לישב בסוכה. The goldglantz Family went on Mivtzoyim During Sukkos, First Name Class Dovid shlomo 1st grade Helped 1 Yidden Bench Lulav, and 1 Yidden make a Bracha לישב בסוכה. The myersmith Family went on Mivtzoyim During Sukkos, First Name Class Moshe 5A Helped 21 Yidden Bench Lulav, and 1 Yidden make a Bracha לישב בסוכה. The Abramov Family went on Mivtzoyim During Sukkos, First Name Class Mendel 2A Helped 8 Yidden Bench Lulav, and 1 Yidden make a Bracha לישב בסוכה. Mendel came up to people to offer them to shake the lulav. He helped them make the bracha and do the mitzva. I went on mivtzoyim in my neighborhood. The Paley Family went on Mivtzoyim During Sukkos, First Name Class Yosef 5c Helped 21 Yidden Bench Lulav, and 1 Yidden make a Bracha לישב בסוכה. https://lecfl.com/wp-content/uploads/2017/10/IMG_20171010_114604519_HDR.jpg 2592 1456 Boys Programs https://lecfl.com/wp-content/uploads/2014/11/Logo-for-LECFL-site.jpg Boys Programs2017-10-19 08:54:422017-10-19 08:54:42I went on mivtzoyim in my neighborhood. The Spalter Family went on Mivtzoyim During Sukkos, First Name Class Yale 3a Helped 40 Yidden Bench Lulav, and 4 Yidden make a Bracha לישב בסוכה. The Estrin Family went on Mivtzoyim During Sukkos, First Name Class Levi 2a Helped 2 Yidden Bench Lulav, and 3 Yidden make a Bracha לישב בסוכה. The Andrusier Family went on Mivtzoyim During Sukkos, First Name Class Yisroel 6a Helped 72 Yidden Bench Lulav, and 47 Yidden make a Bracha לישב בסוכה. The Brody Family went on Mivtzoyim During Sukkos, First Name Class Chaim Aryeh 2B Helped 30 Yidden Bench Lulav, and Yidden make a Bracha לישב בסוכה. The Lehr Family went on Mivtzoyim During Sukkos, First Name Class Benny Lehr Helped 15 Yidden Bench Lulav, and 15 Yidden make a Bracha לישב בסוכה. Wolf family paints Sukkos smiles on many faces! https://lecfl.com/wp-content/uploads/2017/10/20171010_161634.jpg 3024 4032 Boys Programs https://lecfl.com/wp-content/uploads/2014/11/Logo-for-LECFL-site.jpg Boys Programs2017-10-19 08:54:422017-10-19 08:54:42Wolf family paints Sukkos smiles on many faces! 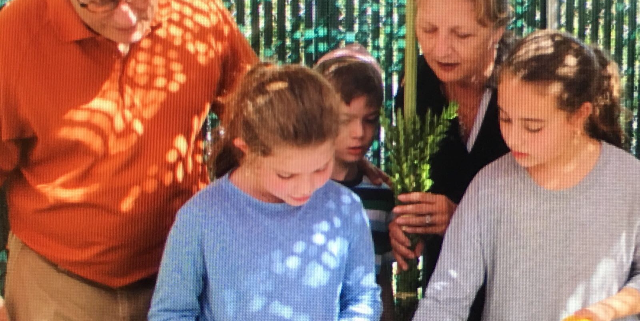 The Green Family went on Mivtzoyim During Sukkos, First Name Class Berel 5b Shalom tzvi 3 Helped Yidden Bench Lulav, and Yidden make a Bracha לישב בסוכה. The hertzel Family went on Mivtzoyim During Sukkos, First Name Class Mussie 6 Chana 5 Levi 3 Rivky 2 Helped 300 Yidden Bench Lulav, and 300 Yidden make a Bracha לישב בסוכה. The Citron Family went on Mivtzoyim During Sukkos, First Name Class Zusha 5a Helped 54 Yidden Bench Lulav, and 49 Yidden make a Bracha לישב בסוכה. The liberow Family went on Mivtzoyim During Sukkos, First Name Class schneur zalman 4b Helped 135 Yidden Bench Lulav, and 3 Yidden make a Bracha לישב בסוכה. A walk to the park and helping to host a Sukkah two sukkah parties! https://lecfl.com/wp-content/uploads/2017/10/20171009_1156541.jpg 3024 4032 Boys Programs https://lecfl.com/wp-content/uploads/2014/11/Logo-for-LECFL-site.jpg Boys Programs2017-10-19 08:54:152017-10-19 08:54:15A walk to the park and helping to host a Sukkah two sukkah parties! The Diamont Family went on Mivtzoyim During Sukkos, First Name Class Mendel 5 Henna 2 Helped 10 Yidden Bench Lulav, and 25 Yidden make a Bracha לישב בסוכה. The Schochet Family went on Mivtzoyim During Sukkos, First Name Class Eli 401 Yuda 403 Helped 3 Yidden Bench Lulav, and Yidden make a Bracha לישב בסוכה. The gordon Family went on Mivtzoyim During Sukkos, First Name Class Shabsi 6 Helped 16 Yidden Bench Lulav, and 11 Yidden make a Bracha לישב בסוכה. The holzkenner Family went on Mivtzoyim During Sukkos, First Name Class Mendy 4 Helped 5 Yidden Bench Lulav, and 5 Yidden make a Bracha לישב בסוכה. The Citron Family went on Mivtzoyim During Sukkos, First Name Class Eli 3a Helped 54 Yidden Bench Lulav, and 49 Yidden make a Bracha לישב בסוכה. The Waks Family went on Mivtzoyim During Sukkos, First Name Class Sholom 6a Helped 0 Yidden Bench Lulav, and 0 Yidden make a Bracha לישב בסוכה. The Touger Family went on Mivtzoyim During Sukkos, First Name Class Moshe 1st Mendel 2nd Helped 1 Yidden Bench Lulav, and 0 Yidden make a Bracha לישב בסוכה. The Unsdorfer Family went on Mivtzoyim During Sukkos, First Name Class Lipe 2B Helped 67 Yidden Bench Lulav, and Yidden make a Bracha לישב בסוכה. The schylander Family went on Mivtzoyim During Sukkos, First Name Class caleiv 4a Helped 22 Yidden Bench Lulav, and Yidden make a Bracha לישב בסוכה. The Hiskiyahu Family went on Mivtzoyim During Sukkos, First Name Class Sarah 2nd grade Helped 1 Yidden Bench Lulav, and 1 Yidden make a Bracha לישב בסוכה. The Kozlovsky Family went on Mivtzoyim During Sukkos, First Name Class Shimmy 4 Tzipora 2 Helped 15 Yidden Bench Lulav, and Yidden make a Bracha לישב בסוכה. The Gold Family went on Mivtzoyim During Sukkos, First Name Class Mendel 5 Helped 4 Yidden Bench Lulav, and Yidden make a Bracha לישב בסוכה. The Kievman Family went on Mivtzoyim During Sukkos, First Name Class Yehuda Dovid 4 Mushka 5 Tzipi 2 Helped 200 Yidden Bench Lulav, and 200 Yidden make a Bracha לישב בסוכה. The Lieberman Family went on Mivtzoyim During Sukkos, First Name Class Faiga vitta 5b Helped 20 Yidden Bench Lulav, and 12 Yidden make a Bracha לישב בסוכה. The Gold Family went on Mivtzoyim During Sukkos, First Name Class Shayni 7 Helped 4 Yidden Bench Lulav, and Yidden make a Bracha לישב בסוכה. The Spivak Family went on Mivtzoyim During Sukkos, First Name Class Schneur Zalman 6A Yosef Yitzchak 4C Helped 350 Yidden Bench Lulav, and 70 Yidden make a Bracha לישב בסוכה. The Miara Family went on Mivtzoyim During Sukkos, First Name Class Yahel Or 2c Helped 20 Yidden Bench Lulav, and Yidden make a Bracha לישב בסוכה. The Yerushalmy Family went on Mivtzoyim During Sukkos, First Name Class Mendy Helped 15 Yidden Bench Lulav, and 2 Yidden make a Bracha לישב בסוכה. The Gopin Family went on Mivtzoyim During Sukkos, First Name Class Levi 6b Moshe 2a Helped 158 Yidden Bench Lulav, and 200 Yidden make a Bracha לישב בסוכה. The Mochkin Family went on Mivtzoyim During Sukkos, First Name Class Chaim 5C Helped 9 Yidden Bench Lulav, and 2 Yidden make a Bracha לישב בסוכה. The Bonnardel Family went on Mivtzoyim During Sukkos, First Name Class Simi 1A Helped 3 Yidden Bench Lulav, and Yidden make a Bracha לישב בסוכה. The Gansburg Family went on Mivtzoyim During Sukkos, First Name Class rochel 4c Helped 11 Yidden Bench Lulav, and 36 Yidden make a Bracha לישב בסוכה. The Weinfeld Family went on Mivtzoyim During Sukkos, First Name Class Mendel 3b Helped 19 Yidden Bench Lulav, and 3 Yidden make a Bracha לישב בסוכה. The Doch Family went on Mivtzoyim During Sukkos, First Name Class Srulik 4b Helped 94 Yidden Bench Lulav, and 13 Yidden make a Bracha לישב בסוכה. The Mochkin Family went on Mivtzoyim During Sukkos, First Name Class Daniel 1B Helped 9 Yidden Bench Lulav, and 2 Yidden make a Bracha לישב בסוכה. The Gutt Family went on Mivtzoyim During Sukkos, First Name Class Menachem 4 C Helped 95 Yidden Bench Lulav, and 5 Yidden make a Bracha לישב בסוכה. The Smith Family went on Mivtzoyim During Sukkos, First Name Class Shmuli 1 Sara 4 Mushka 5 Helped 187 Yidden Bench Lulav, and 93 Yidden make a Bracha לישב בסוכה. The Lipskar Family went on Mivtzoyim During Sukkos, First Name Class Beryl 6b Helped 49 Yidden Bench Lulav, and 12 Yidden make a Bracha לישב בסוכה. The Waks Family went on Mivtzoyim During Sukkos, First Name Class Sholom 6a Helped Yidden Bench Lulav, and 100 Yidden make a Bracha לישב בסוכה. The camissar Family went on Mivtzoyim During Sukkos, First Name Class uzi 3b Helped 10 Yidden Bench Lulav, and 30 Yidden make a Bracha לישב בסוכה. The Gansburg Family went on Mivtzoyim During Sukkos, First Name Class menucha 3a Helped 8 Yidden Bench Lulav, and 41 Yidden make a Bracha לישב בסוכה. The Gotkin Family went on Mivtzoyim During Sukkos, First Name Class Tzvi 5B Helped 150 Yidden Bench Lulav, and 0 Yidden make a Bracha לישב בסוכה. The fellig Family went on Mivtzoyim During Sukkos, First Name Class dovi 6 Helped 13 Yidden Bench Lulav, and 11 Yidden make a Bracha לישב בסוכה. The Blachman Family went on Mivtzoyim During Sukkos, First Name Class Yisroel Abraham 1a Helped 5 Yidden Bench Lulav, and 1 Yidden make a Bracha לישב בסוכה. The DALFIN Family went on Mivtzoyim During Sukkos, First Name Class MIRIAM RIVKA 4B Helped 20 Yidden Bench Lulav, and 0 Yidden make a Bracha לישב בסוכה. https://lecfl.com/wp-content/uploads/2014/11/Logo-for-LECFL-site.jpg 0 0 Boys Programs https://lecfl.com/wp-content/uploads/2014/11/Logo-for-LECFL-site.jpg Boys Programs2017-10-16 19:06:062017-10-16 19:06:06IT WAS VERY FUN!!!!!!!!! The Taylor Family went on Mivtzoyim During Sukkos, First Name Class Rivky 2C Helped 1 Yidden Bench Lulav, and 2 Yidden make a Bracha לישב בסוכה. The Gotkin Family went on Mivtzoyim During Sukkos, First Name Class mendy 6a Helped 53 Yidden Bench Lulav, and 50 Yidden make a Bracha לישב בסוכה. The Garfinkel Family went on Mivtzoyim During Sukkos, First Name Class Lieba 2 Helped 8 Yidden Bench Lulav, and Yidden make a Bracha לישב בסוכה. Lieba not only helped with the brocha, she said a beauftul dvar Torah as well. The Sossonko Family went on Mivtzoyim During Sukkos, First Name Class Sholom 3A Asher 1 Helped 109 Yidden Bench Lulav, and Yidden make a Bracha לישב בסוכה. The Chudaitov Family went on Mivtzoyim During Sukkos, First Name Class Dovid 3c Helped 53 Yidden Bench Lulav, and 0 Yidden make a Bracha לישב בסוכה. A guy on our mivtzoim route told us it’s his YARTZEIT on hoshana raba. Lol We told him bh he’s here doing a mitzva it can’t be his yartzeit. The Duanee Family went on Mivtzoyim During Sukkos, First Name Class Menachem Mendel 2B Levi 1B Sheina 5 Helped 13 Yidden Bench Lulav, and Yidden make a Bracha לישב בסוכה. The Bronstein Family went on Mivtzoyim During Sukkos, First Name Class Samuel 6 Shalom 4 Menachem 1 Helped 71 Yidden Bench Lulav, and Yidden make a Bracha לישב בסוכה. Over Yom tov Moshe dov and Yehuda were very excited to shake lulav and esrog and with anyone that hadnt done it yet. At he hebrew school event they shook with so many kids, it was beautiful to see. The biston Family went on Mivtzoyim During Sukkos, First Name Class Moshe 2 nd grade Dov 1st Grade Yehuda 1st Grade Helped 375 Yidden Bench Lulav, and 375 Yidden make a Bracha לישב בסוכה. https://lecfl.com/wp-content/uploads/2014/11/Logo-for-LECFL-site.jpg 0 0 Boys Programs https://lecfl.com/wp-content/uploads/2014/11/Logo-for-LECFL-site.jpg Boys Programs2017-10-16 19:04:052017-10-16 19:04:05Over Yom tov Moshe dov and Yehuda were very excited to shake lulav and esrog and with anyone that hadnt done it yet. At he hebrew school event they shook with so many kids, it was beautiful to see. The Tennenhaus Family went on Mivtzoyim During Sukkos, First Name Class Dovid Tennenhaus 6th Mordechai (Eli) Tennenhaus 4th Yisroel Tennenhaus 3rd Helped 35 Yidden Bench Lulav, and 150 Yidden make a Bracha לישב בסוכה. The Edalati Family went on Mivtzoyim During Sukkos, First Name Class Raphael First grade Rebecca Third grade Helped 9 Yidden Bench Lulav, and 12 Yidden make a Bracha לישב בסוכה. Rosenfeld boys cheer up the elderly whith lulav and esrog. The Rosenfeld Family went on Mivtzoyim During Sukkos, First Name Class Levi 4th grade Zalman 2nd grade Helped 43 Yidden Bench Lulav, and 100 Yidden make a Bracha לישב בסוכה. https://lecfl.com/wp-content/uploads/2014/11/Logo-for-LECFL-site.jpg 0 0 Boys Programs https://lecfl.com/wp-content/uploads/2014/11/Logo-for-LECFL-site.jpg Boys Programs2017-10-16 19:04:052017-10-16 19:04:05Rosenfeld boys cheer up the elderly whith lulav and esrog. Andrusiers went to an assisted living facility to bring Yom tov joy to the residents. The Andrusier Family went on Mivtzoyim During Sukkos, First Name Class Netanel 1 Naama 3A Helped 30 Yidden Bench Lulav, and 10 Yidden make a Bracha לישב בסוכה. We went to the old age home and sang and danced for the old people. And we shook lulav with them. https://lecfl.com/wp-content/uploads/2014/11/Logo-for-LECFL-site.jpg 0 0 Boys Programs https://lecfl.com/wp-content/uploads/2014/11/Logo-for-LECFL-site.jpg Boys Programs2017-10-16 19:04:052017-10-16 19:04:05Andrusiers went to an assisted living facility to bring Yom tov joy to the residents. The Lelinger Family went on Mivtzoyim During Sukkos, First Name Class Yehuda 5c Helped 150 Yidden Bench Lulav, and 10 Yidden make a Bracha לישב בסוכה. The Lelinger Family went on Mivtzoyim During Sukkos, First Name Class Dovber 3a Chaya 2b Helped 140 Yidden Bench Lulav, and 2 Yidden make a Bracha לישב בסוכה. The Dalfin Family went on Mivtzoyim During Sukkos, First Name Class Miriam Rivkah 4B Helped 20 Yidden Bench Lulav, and 20 Yidden make a Bracha לישב בסוכה. The brody Family went on Mivtzoyim During Sukkos, First Name Class shmully 6b Helped Yidden Bench Lulav, and 101 Yidden make a Bracha לישב בסוכה. The Levy Family went on Mivtzoyim During Sukkos, First Name Class Chana’le 2A Gitty 1B Helped 2 Yidden Bench Lulav, and Yidden make a Bracha לישב בסוכה. The Levin Family went on Mivtzoyim During Sukkos, First Name Class Emanuel 8th Menachem 5th David 2nd Helped 50 Yidden Bench Lulav, and 6 Yidden make a Bracha לישב בסוכה. The Dechter Family went on Mivtzoyim During Sukkos, First Name Class Moshe 1A Chaya 3A Helped 26 Yidden Bench Lulav, and 36 Yidden make a Bracha לישב בסוכה. The Steinberg Family went on Mivtzoyim During Sukkos, First Name Class Zalman 6a Helped 5 Yidden Bench Lulav, and Yidden make a Bracha לישב בסוכה. The Rosenfeld Family went on Mivtzoyim During Sukkos, First Name Class Yosef 5b Helped 143 Yidden Bench Lulav, and 100 Yidden make a Bracha לישב בסוכה. I shook lulav with many hebrew school parents close to the end of sukkos and for some of them it was the fist time this year. https://lecfl.com/wp-content/uploads/2014/11/Logo-for-LECFL-site.jpg 0 0 Boys Programs https://lecfl.com/wp-content/uploads/2014/11/Logo-for-LECFL-site.jpg Boys Programs2017-10-16 08:24:362017-10-16 08:24:36Rosenfeld boys cheer up the elderly whith lulav and esrog. The Diamont Family went on Mivtzoyim During Sukkos, First Name Class Mendel Diamont Helped 55 Yidden Bench Lulav, and 36 Yidden make a Bracha לישב בסוכה. While on mivtzoyim at Mount Sinai Hopsital we met a woman who never shook lulav and esrog in her entire life. This was her first time. Rubinstein’s shake lulav and make the Brocha on hoshana raba -last opportunity! The Rubinstein Family went on Mivtzoyim During Sukkos, First Name Class Shloimy 5 Chaya 3 Estie 2 Helped 20 Yidden Bench Lulav, and 20 Yidden make a Bracha לישב בסוכה. https://lecfl.com/wp-content/uploads/Boys-Programs/Mivtzah-Lulav/5778/852C6C21-7876-44F3-BAA7-6E4B5DA17D22.jpeg 3024 4032 Boys Programs https://lecfl.com/wp-content/uploads/2014/11/Logo-for-LECFL-site.jpg Boys Programs2017-10-15 22:22:052017-10-15 22:22:05Rubinstein’s shake lulav and make the Brocha on hoshana raba -last opportunity! The Rubinstein Family went on Mivtzoyim During Sukkos, First Name Class Shloimy 5 Helped 37 Yidden Bench Lulav, and Yidden make a Bracha לישב בסוכה. Motti helped set up and clean up many meals in our succah over yom Tov. Helped people make a brocha took care of them and got them what they needed in order to have an incredible experience BH. The Katz Family went on Mivtzoyim During Sukkos, First Name Class Motti 5c Helped 40 Yidden Bench Lulav, and 40 Yidden make a Bracha לישב בסוכה. https://lecfl.com/wp-content/uploads/Boys-Programs/Mivtzah-Lulav/5778/IMG_4106.jpg 2448 3264 Boys Programs https://lecfl.com/wp-content/uploads/2014/11/Logo-for-LECFL-site.jpg Boys Programs2017-10-15 22:22:052017-10-15 22:22:05Motti helped set up and clean up many meals in our succah over yom Tov. Helped people make a brocha took care of them and got them what they needed in order to have an incredible experience BH. The Goldberger Family went on Mivtzoyim During Sukkos, First Name Class Leiv 5th Helped 9 Yidden Bench Lulav, and 17 Yidden make a Bracha לישב בסוכה. The Schvetz Family went on Mivtzoyim During Sukkos, First Name Class Yehoshua 4 A Helped 8 Yidden Bench Lulav, and Yidden make a Bracha לישב בסוכה. The Schvetz Family went on Mivtzoyim During Sukkos, First Name Class Menachem Mendel 4 C Helped 22 Yidden Bench Lulav, and Yidden make a Bracha לישב בסוכה. The Schvetz Family went on Mivtzoyim During Sukkos, First Name Class Ary 4b Helped 13 Yidden Bench Lulav, and Yidden make a Bracha לישב בסוכה. The Chein Family went on Mivtzoyim During Sukkos, First Name Class Yosef Chein 4c Yehuda Chein 2b Helped 10 Yidden Bench Lulav, and 2 Yidden make a Bracha לישב בסוכה. The weiss Family went on Mivtzoyim During Sukkos, First Name Class Shlomie 3rd grade Shneior 5b Helped 241 Yidden Bench Lulav, and 25 Yidden make a Bracha לישב בסוכה. The Marrus (surfside) Family went on Mivtzoyim During Sukkos, First Name Class Mendel 2c Helped 10 Yidden Bench Lulav, and Yidden make a Bracha לישב בסוכה. The blachman boys brought lots of joy to a holocaust survivor. She told them stories of how they had a lulav in the ghetto. The Blachman Family went on Mivtzoyim During Sukkos, First Name Class Menachem 307 Avi Helped 20 Yidden Bench Lulav, and 2 Yidden make a Bracha לישב בסוכה. https://lecfl.com/wp-content/uploads/Boys-Programs/Mivtzah-Lulav/5778/IMG_51451.jpg 0 0 Boys Programs https://lecfl.com/wp-content/uploads/2014/11/Logo-for-LECFL-site.jpg Boys Programs2017-10-15 22:22:052017-10-15 22:22:05The blachman boys brought lots of joy to a holocaust survivor. She told them stories of how they had a lulav in the ghetto. The goodman Family went on Mivtzoyim During Sukkos, First Name Class Hillel 6a Helped 13 Yidden Bench Lulav, and Yidden make a Bracha לישב בסוכה. The Tennenhaus Family went on Mivtzoyim During Sukkos, First Name Class Dovid 6a Eli 4b Yisroel 3a Helped 37 Yidden Bench Lulav, and 0 Yidden make a Bracha לישב בסוכה. The Lieberman Family went on Mivtzoyim During Sukkos, First Name Class Yisroel dov 1a Helped 20 Yidden Bench Lulav, and 12 Yidden make a Bracha לישב בסוכה. We bumped into a holocaust survivor in my tatty office and shook the lulav and esrog with her. FirSt time in her life. 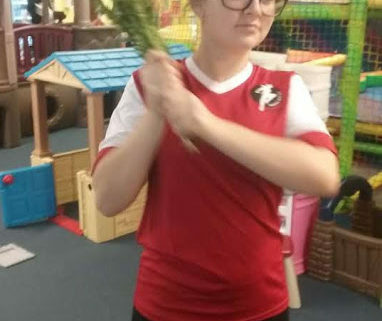 akiva came with me to work with his lulav and gave to all the employees to shake lulav and also in our home gave his lulav to some guests that did not have thier own lulav. https://lecfl.com/wp-content/uploads/2014/11/Logo-for-LECFL-site.jpg 0 0 Boys Programs https://lecfl.com/wp-content/uploads/2014/11/Logo-for-LECFL-site.jpg Boys Programs2017-10-15 22:21:432017-10-15 22:21:43akiva came with me to work with his lulav and gave to all the employees to shake lulav and also in our home gave his lulav to some guests that did not have thier own lulav. The Rubinstein Family went on Mivtzoyim During Sukkos, First Name Class Estie 2c Helped 60 Yidden Bench Lulav, and Yidden make a Bracha לישב בסוכה. The Rubinstein’s had the girls make 2 Brochos because many of the girls never shook this yom tov. The Lieberman Family went on Mivtzoyim During Sukkos, First Name Class Yisroel dov 1A Helped 20 Yidden Bench Lulav, and 12 Yidden make a Bracha לישב בסוכה. We shook a lulav and esrog with a holocaust survivor for the first time. The Rubinstein Family went on Mivtzoyim During Sukkos, First Name Class Chaya 3 Estie 2 Helped 20 Yidden Bench Lulav, and 20 Yidden make a Bracha לישב בסוכה. The Kagan Family went on Mivtzoyim During Sukkos, First Name Class Meir 6b Shalom 2c Helped 0 Yidden Bench Lulav, and 2 Yidden make a Bracha לישב בסוכה. The Marrus Family went on Mivtzoyim During Sukkos, First Name Class Benyamin 5B Levi 3B Dovi 1B Helped 1 Yidden Bench Lulav, and 0 Yidden make a Bracha לישב בסוכה. The Young Family went on Mivtzoyim During Sukkos, First Name Class Yisroel 2A Yossi 5A Helped 36 Yidden Bench Lulav, and 36 Yidden make a Bracha לישב בסוכה. The Rodal Family went on Mivtzoyim During Sukkos, First Name Class Chanale 3c Helped 147 Yidden Bench Lulav, and Yidden make a Bracha לישב בסוכה. The Marrus Family went on Mivtzoyim During Sukkos, First Name Class Mendel 6A Helped 1 Yidden Bench Lulav, and 0 Yidden make a Bracha לישב בסוכה. Yitzi made lots of elderly people happy at the old age home! https://lecfl.com/wp-content/uploads/2017/10/IMG_4373.jpg 3024 4032 Boys Programs https://lecfl.com/wp-content/uploads/2014/11/Logo-for-LECFL-site.jpg Boys Programs2017-10-15 22:21:422017-10-15 22:21:42Yitzi made lots of elderly people happy at the old age home! Gavriel and dovid walked around our neighborhood shaking lilac with people every day of sukkos! The Gopin Family went on Mivtzoyim During Sukkos, First Name Class Gavriel 3a Dovid 5a Helped 45 Yidden Bench Lulav, and 2 Yidden make a Bracha לישב בסוכה. https://lecfl.com/wp-content/uploads/2017/10/IMG_9010.jpg 2448 3264 Boys Programs https://lecfl.com/wp-content/uploads/2014/11/Logo-for-LECFL-site.jpg Boys Programs2017-10-15 22:21:422017-10-15 22:21:42Gavriel and dovid walked around our neighborhood shaking lilac with people every day of sukkos! The goodman Family went on Mivtzoyim During Sukkos, First Name Class Hillel 6a Helped 97 Yidden Bench Lulav, and 120 Yidden make a Bracha לישב בסוכה. The goodman Family went on Mivtzoyim During Sukkos, First Name Class Mendel 4a Helped 110 Yidden Bench Lulav, and 120 Yidden make a Bracha לישב בסוכה. The Altein Family went on Mivtzoyim During Sukkos, First Name Class Mendel 2B Asher 1C Helped 124 Yidden Bench Lulav, and Yidden make a Bracha לישב בסוכה. We went to ninja lounge to have some fun, of course we took our lulav. And found some ppl from sunny isles. https://lecfl.com/wp-content/uploads/2014/11/Logo-for-LECFL-site.jpg 0 0 Boys Programs https://lecfl.com/wp-content/uploads/2014/11/Logo-for-LECFL-site.jpg Boys Programs2017-10-15 22:21:212017-10-15 22:21:21Mivtzoim at the Hospital! 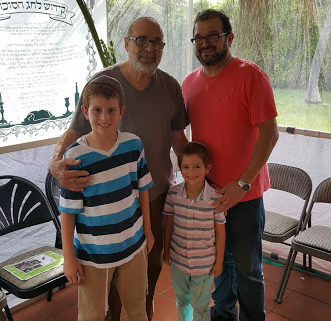 The Elkayam Family went on Mivtzoyim During Sukkos, First Name Class Eliyahu 4c Helped 83 Yidden Bench Lulav, and 10 Yidden make a Bracha לישב בסוכה. Yossi has a sukkah in the center of Sunny Isles Beach and gets people to shake lulav and esrog! The Baron Family went on Mivtzoyim During Sukkos, First Name Class Yossi 3B Helped 232 Yidden Bench Lulav, and 536 Yidden make a Bracha לישב בסוכה. https://lecfl.com/wp-content/uploads/Boys-Programs/Mivtzah-Lulav/5778/Yossilulav.jpeg 810 1080 Boys Programs https://lecfl.com/wp-content/uploads/2014/11/Logo-for-LECFL-site.jpg Boys Programs2017-10-15 22:21:212017-10-15 22:21:21Yossi has a sukkah in the center of Sunny Isles Beach and gets people to shake lulav and esrog! The Raskin Family went on Mivtzoyim During Sukkos, First Name Class Ari 5A Avrohom 1 Rabbi Wolf Helped 112 Yidden Bench Lulav, and 75 Yidden make a Bracha לישב בסוכה. The Davidzada Family went on Mivtzoyim During Sukkos, First Name Class Chahy Leah 2B Helped 40 Yidden Bench Lulav, and 4 Yidden make a Bracha לישב בסוכה. The Zaklos Family went on Mivtzoyim During Sukkos, First Name Class Yitzi Rabbi Wolf Chaya Mrs laine Hinda Mrs Roth Helped 40 Yidden Bench Lulav, and 100 Yidden make a Bracha לישב בסוכה. The Jaimovich Family went on Mivtzoyim During Sukkos, First Name Class Benny 6A Yossi 3C Chaya 1 Helped 5 Yidden Bench Lulav, and 0 Yidden make a Bracha לישב בסוכה. The Davidzada Family went on Mivtzoyim During Sukkos, First Name Class MENACHEM MENDEL 4A Helped 40 Yidden Bench Lulav, and 4 Yidden make a Bracha לישב בסוכה. Mendy helped the Hebew school childen bentch lulav and also our neighbors. https://lecfl.com/wp-content/uploads/2014/11/Logo-for-LECFL-site.jpg 0 0 Boys Programs https://lecfl.com/wp-content/uploads/2014/11/Logo-for-LECFL-site.jpg Boys Programs2017-10-15 22:21:212017-10-15 22:21:21Mendy helped the Hebew school childen bentch lulav and also our neighbors. The karsenty Family went on Mivtzoyim During Sukkos, First Name Class Menahem 4c Helped 40 Yidden Bench Lulav, and 31 Yidden make a Bracha לישב בסוכה. The Smierc Family went on Mivtzoyim During Sukkos, First Name Class Batsheva 5b miki 3c Helped 50 Yidden Bench Lulav, and 400 Yidden make a Bracha לישב בסוכה. Mike and Batsheva were helping young people who didn’t have the opportunity to bless from the lulav during chol a moed and yom tov. The Benichou Family went on Mivtzoyim During Sukkos, First Name Class Isaac 4C Chaya 2B Helped 4 Yidden Bench Lulav, and 4 Yidden make a Bracha לישב בסוכה. We helped our 4 cousins Ariela, Sarah, Estie and Debbie do the mitzvah of Shaking the lulav and esrog and make a Bracha in the sukkah. https://lecfl.com/wp-content/uploads/Boys-Programs/Mivtzah-Lulav/5778/IMG_5145.jpg 747 1328 Boys Programs https://lecfl.com/wp-content/uploads/2014/11/Logo-for-LECFL-site.jpg Boys Programs2017-10-15 22:21:202017-10-15 22:21:20The blachman boys brought lots of joy to a holocaust survivor. She told them stories of how they had a lulav in the ghetto. The Schectman Family went on Mivtzoyim During Sukkos, First Name Class Rochel Leah 2A Chana 1A Helped 5 Yidden Bench Lulav, and 0 Yidden make a Bracha לישב בסוכה. The Katz Family went on Mivtzoyim During Sukkos, First Name Class Chani 4b Helped 30 Yidden Bench Lulav, and 30 Yidden make a Bracha לישב בסוכה. The Katz Family went on Mivtzoyim During Sukkos, First Name Class Mussie 2c Helped 30 Yidden Bench Lulav, and 30 Yidden make a Bracha לישב בסוכה. The Lebovics Family went on Mivtzoyim During Sukkos, First Name Class Eli Moshe 6 Nissy 5 Shmuly 3 Rivka 1 Helped 51 Yidden Bench Lulav, and 25 Yidden make a Bracha לישב בסוכה. The Zuckerman Family went on Mivtzoyim During Sukkos, First Name Class Binyamin Rabbi Engel 1st Grade Helped 2 Yidden Bench Lulav, and Yidden make a Bracha לישב בסוכה. Binyamin went to his zaidy office and helped him and his Sister(binyamin’s great aunt) make the Bracha and shake the lulav ! The Bronstein Family went on Mivtzoyim During Sukkos, First Name Class eli 6a sholom 4b menachem 1c Helped 73 Yidden Bench Lulav, and 0 Yidden make a Bracha לישב בסוכה. The Kagan Family went on Mivtzoyim During Sukkos, First Name Class Cheli 4B Meir 2A Helped 2 Yidden Bench Lulav, and Yidden make a Bracha לישב בסוכה. The Kagan Family went on Mivtzoyim During Sukkos, First Name Class Cheli 4B Meir 2A Helped 1 Yidden Bench Lulav, and Yidden make a Bracha לישב בסוכה. The Lebovics Family went on Mivtzoyim During Sukkos, First Name Class Eli moshe 6 Nissy 5 Shmuly 3 Rivka 1 Helped 51 Yidden Bench Lulav, and Yidden make a Bracha לישב בסוכה. The Halberstam Family went on Mivtzoyim During Sukkos, First Name Class Anya Halberstan Mrs. Bonnardel Helped 1 Yidden Bench Lulav, and 1 Yidden make a Bracha לישב בסוכה. The Duchman Family went on Mivtzoyim During Sukkos, First Name Class Yisroel 6b Helped 5 Yidden Bench Lulav, and Yidden make a Bracha לישב בסוכה. The Boaz Family went on Mivtzoyim During Sukkos, First Name Class Ari 3c Leivik 1a Helped 21 Yidden Bench Lulav, and 5 Yidden make a Bracha לישב בסוכה. Our cleaning lady is Jewish and has worked for Jewish employees for many years (20+) but had never shaken lulav and esrog before. She was so touched!! Nosrati family have a sukkahs achdus! The Nosrati Family went on Mivtzoyim During Sukkos, First Name Class Menuchi 3b Helped 3 Yidden Bench Lulav, and 50 Yidden make a Bracha לישב בסוכה. Our sukkah. During the chag we had a lot gusts that came and eat with us, make the mitzvah of the lulav and simchas biat hashueva. https://lecfl.com/wp-content/uploads/2017/10/IMG_8177.jpg 1200 1600 Boys Programs https://lecfl.com/wp-content/uploads/2014/11/Logo-for-LECFL-site.jpg Boys Programs2017-10-15 22:20:552017-10-15 22:20:55Nosrati family have a sukkahs achdus! The Katz Family went on Mivtzoyim During Sukkos, First Name Class Roza 5a Helped 30 Yidden Bench Lulav, and 30 Yidden make a Bracha לישב בסוכה. The Storfer Family went on Mivtzoyim During Sukkos, First Name Class Gabi 2a Chaya 5c Helped 24 Yidden Bench Lulav, and 6 Yidden make a Bracha לישב בסוכה. Schwartz Family does Mitzvos with Yidden all Sukkos long! https://lecfl.com/wp-content/uploads/Boys-Programs/Mivtzah-Lulav/5778/WhatsApp-Image-2017-10-08-at-9.49.20-PM.jpeg 900 1600 Boys Programs https://lecfl.com/wp-content/uploads/2014/11/Logo-for-LECFL-site.jpg Boys Programs2017-10-15 22:20:312017-10-15 22:20:31Schwartz Family does Mitzvos with Yidden all Sukkos long! The rosenberg Family went on Mivtzoyim During Sukkos, First Name Class Avi 6a Helped 30 Yidden Bench Lulav, and 202 Yidden make a Bracha לישב בסוכה. https://lecfl.com/wp-content/uploads/2017/10/20171011_142526.jpg 3024 4032 Boys Programs https://lecfl.com/wp-content/uploads/2014/11/Logo-for-LECFL-site.jpg Boys Programs2017-10-15 22:20:312017-10-15 22:20:31Mivtzoim at the Hospital! The mockin Family went on Mivtzoyim During Sukkos, First Name Class Ita 4c Helped 9 Yidden Bench Lulav, and 85 Yidden make a Bracha לישב בסוכה. The mockin Family went on Mivtzoyim During Sukkos, First Name Class Mayer 1a Helped 8 Yidden Bench Lulav, and 85 Yidden make a Bracha לישב בסוכה. The Cohen Family went on Mivtzoyim During Sukkos, First Name Class Liat 2 Helped 8 Yidden Bench Lulav, and Yidden make a Bracha לישב בסוכה. The GLAZER Family went on Mivtzoyim During Sukkos, First Name Class NATI 3A Helped 37 Yidden Bench Lulav, and 4 Yidden make a Bracha לישב בסוכה. when i went on mivszoim alot of people got emotinl and started to cry. The barash Family went on Mivtzoyim During Sukkos, First Name Class yosef 4b levi 2b Helped 10 Yidden Bench Lulav, and 200 Yidden make a Bracha לישב בסוכה. https://lecfl.com/wp-content/uploads/2014/11/Logo-for-LECFL-site.jpg 0 0 Boys Programs https://lecfl.com/wp-content/uploads/2014/11/Logo-for-LECFL-site.jpg Boys Programs2017-10-15 22:20:302017-10-15 22:20:30when i went on mivszoim alot of people got emotinl and started to cry. The Shahino Family went on Mivtzoyim During Sukkos, First Name Class Chani 2b Helped 50 Yidden Bench Lulav, and 9 Yidden make a Bracha לישב בסוכה. The Gold Family went on Mivtzoyim During Sukkos, First Name Class Mendel 5th grade Helped 4 Yidden Bench Lulav, and 9 Yidden make a Bracha לישב בסוכה. The Chanowitz Family went on Mivtzoyim During Sukkos, First Name Class chana 5a mendel 2b Helped 19 Yidden Bench Lulav, and 20 Yidden make a Bracha לישב בסוכה. The Schapiro Family went on Mivtzoyim During Sukkos, First Name Class Lipa 2A Helped 27 Yidden Bench Lulav, and 0 Yidden make a Bracha לישב בסוכה. The Schapiro Family went on Mivtzoyim During Sukkos, First Name Class Lipa 2A Eli 2C Helped 28 Yidden Bench Lulav, and 0 Yidden make a Bracha לישב בסוכה. The Tevardovitz Family went on Mivtzoyim During Sukkos, First Name Class Tzvi 1b Batya 4 Helped 16 Yidden Bench Lulav, and 10 Yidden make a Bracha לישב בסוכה. Schwartz Family hosts Women, Hebrew School & Yom Tov Guests all Sukkos long! https://lecfl.com/wp-content/uploads/Boys-Programs/Mivtzah-Lulav/5778/IMG_8106.jpg 3456 5184 Boys Programs https://lecfl.com/wp-content/uploads/2014/11/Logo-for-LECFL-site.jpg Boys Programs2017-10-15 22:20:302017-10-15 22:20:30Schwartz Family hosts Women, Hebrew School & Yom Tov Guests all Sukkos long! Schwartz Family does mitzvos with kids at KidsSukkah Hop! The Schwartz Family went on Mivtzoyim During Sukkos, First Name Class Zalmy 1st Grade Rabbi Engel Helped 42 Yidden Bench Lulav, and 31 Yidden make a Bracha לישב בסוכה. https://lecfl.com/wp-content/uploads/Boys-Programs/Mivtzah-Lulav/5778/WhatsApp-Image-2017-10-08-at-9.47.26-PM.jpeg 1052 1599 Boys Programs https://lecfl.com/wp-content/uploads/2014/11/Logo-for-LECFL-site.jpg Boys Programs2017-10-15 22:20:302017-10-15 22:20:30Schwartz Family does mitzvos with kids at KidsSukkah Hop! the entire anavim family hits lincoln road! https://lecfl.com/wp-content/uploads/2014/11/Logo-for-LECFL-site.jpg 0 0 Boys Programs https://lecfl.com/wp-content/uploads/2014/11/Logo-for-LECFL-site.jpg Boys Programs2017-10-15 22:20:072017-10-15 22:20:07the entire anavim family hits lincoln road! The Cohen Family went on Mivtzoyim During Sukkos, First Name Class Lee,el 4 Helped 12 Yidden Bench Lulav, and Yidden make a Bracha לישב בסוכה. The Cohen Family went on Mivtzoyim During Sukkos, First Name Class Ella 2 Helped 10 Yidden Bench Lulav, and Yidden make a Bracha לישב בסוכה. The Thaler Family went on Mivtzoyim During Sukkos, First Name Class Avraham 5a Mendel 3b Eli 1c Helped 4 Yidden Bench Lulav, and 2 Yidden make a Bracha לישב בסוכה. The Pinhas Family went on Mivtzoyim During Sukkos, First Name Class Levi 3c Helped 62 Yidden Bench Lulav, and 200 Yidden make a Bracha לישב בסוכה. Esther is in Lonetree, Colorado for Sukkos. She helped out at quite a few programs at the Chabad House! The Arkush Family went on Mivtzoyim During Sukkos, First Name Class Esther 5B Helped 10 Yidden Bench Lulav, and 1 Yidden make a Bracha לישב בסוכה. https://lecfl.com/wp-content/uploads/2017/10/IMG-20171011-WA0004.jpg 1599 1200 Boys Programs https://lecfl.com/wp-content/uploads/2014/11/Logo-for-LECFL-site.jpg Boys Programs2017-10-15 22:20:062017-10-15 22:20:06Esther is in Lonetree, Colorado for Sukkos. She helped out at quite a few programs at the Chabad House! Sholom Ber helping the Butcher! The Steinberg Family went on Mivtzoyim During Sukkos, First Name Class Shalom Ber 2a Helped 2 Yidden Bench Lulav, and Yidden make a Bracha לישב בסוכה. https://lecfl.com/wp-content/uploads/2017/10/IMG_7514.jpg 3024 4032 Boys Programs https://lecfl.com/wp-content/uploads/2014/11/Logo-for-LECFL-site.jpg Boys Programs2017-10-15 22:20:062017-10-15 22:20:06Sholom Ber helping the Butcher! Shalom Bet helping the baker! The Steinberg Family went on Mivtzoyim During Sukkos, First Name Class Shalom Ber 2a Helped Yidden Bench Lulav, and Yidden make a Bracha לישב בסוכה. https://lecfl.com/wp-content/uploads/2017/10/IMG_7515.jpg 3024 4032 Boys Programs https://lecfl.com/wp-content/uploads/2014/11/Logo-for-LECFL-site.jpg Boys Programs2017-10-15 22:20:062017-10-15 22:20:06Shalom Bet helping the baker! Feigelstock family brings the joy of sukkos to the mall! https://lecfl.com/wp-content/uploads/2017/10/IMG_0147.jpg 2448 3264 Boys Programs https://lecfl.com/wp-content/uploads/2014/11/Logo-for-LECFL-site.jpg Boys Programs2017-10-15 22:20:062017-10-15 22:20:06Feigelstock family brings the joy of sukkos to the mall! The Cohen family helps Jewish people shake the lulav! https://lecfl.com/wp-content/uploads/2017/10/unnamed-file.CC.jpg 1600 1200 Boys Programs https://lecfl.com/wp-content/uploads/2014/11/Logo-for-LECFL-site.jpg Boys Programs2017-10-15 22:20:062017-10-15 22:20:06The Cohen family helps Jewish people shake the lulav! The Jaimovich Family went on Mivtzoyim During Sukkos, First Name Class Benny 6A Yossi 3C Chaya 1 Helped 1 Yidden Bench Lulav, and 0 Yidden make a Bracha לישב בסוכה. They had a great time doing mivtoyim by publix! The Lipskar Family went on Mivtzoyim During Sukkos, First Name Class Beryl 6b Helped 29 Yidden Bench Lulav, and 13 Yidden make a Bracha לישב בסוכה. Somebody said there not Jewish but there mother is.So he was told he is Jewish and eventually he said the brocha! https://lecfl.com/wp-content/uploads/2017/10/76814288-8CB8-4613-ADC5-60043340148F.png 1334 750 Boys Programs https://lecfl.com/wp-content/uploads/2014/11/Logo-for-LECFL-site.jpg Boys Programs2017-10-15 22:20:062017-10-15 22:20:06They had a great time doing mivtoyim by publix! The Kinigsberg Family went on Mivtzoyim During Sukkos, First Name Class Charna Kinigsberg 5B Asher Kinigsberg 2B Pinchas Kinigsberg 1B Helped 1 Yidden Bench Lulav, and Yidden make a Bracha לישב בסוכה. Kinigsberg family helping and inspiring customers at holy bagels ! https://lecfl.com/wp-content/uploads/2017/10/IMG_4899.jpg 900 1600 Boys Programs https://lecfl.com/wp-content/uploads/2014/11/Logo-for-LECFL-site.jpg Boys Programs2017-10-15 22:19:272017-10-15 22:19:27Kinigsberg family helping and inspiring customers at holy bagels ! The Kinigsberg Family went on Mivtzoyim During Sukkos, First Name Class Asher 2b Charna 5b Pinchas 1b Helped 1 Yidden Bench Lulav, and Yidden make a Bracha לישב בסוכה. The Kinigsberg Family went on Mivtzoyim During Sukkos, First Name Class Charna 5B Asher 2B Pinchas 1b Helped 1 Yidden Bench Lulav, and Yidden make a Bracha לישב בסוכה. The Kinigsberg Family went on Mivtzoyim During Sukkos, First Name Class Charna 5b Asher 2b Pinchas 1b Helped 2 Yidden Bench Lulav, and 2 Yidden make a Bracha לישב בסוכה. The Jaimovich Family went on Mivtzoyim During Sukkos, First Name Class Benny 6A Yossi 3C Chaya 1 Helped 5 Yidden Bench Lulav, and Yidden make a Bracha לישב בסוכה. Wolff family shakes lulav and esrog with people in their chabad. The Wolff Family went on Mivtzoyim During Sukkos, First Name Class Yechiel Michel 4A Chana 2A Helped 88 Yidden Bench Lulav, and 88 Yidden make a Bracha לישב בסוכה. https://lecfl.com/wp-content/uploads/2017/10/20171008_160040.jpg 588 331 Boys Programs https://lecfl.com/wp-content/uploads/2014/11/Logo-for-LECFL-site.jpg Boys Programs2017-10-15 22:19:272017-10-15 22:19:27Wolff family shakes lulav and esrog with people in their chabad. The Labkowski Family went on Mivtzoyim During Sukkos, First Name Class yehoshua+yonatan 3a+4c Helped 49 Yidden Bench Lulav, and 0 Yidden make a Bracha לישב בסוכה. The Segal Family went on Mivtzoyim During Sukkos, First Name Class Levi 5 Rabbi Andriuser Donny 3 Rabbi Sherman Sorah 2 Morah Esti Bonnardell Helped 15 Yidden Bench Lulav, and 10 Yidden make a Bracha לישב בסוכה.